A fun day at the club with 13 players, both local and from further afield, taking part in a Roman Civil War campaign. Our thanks to Grahame and Andy H for organisation, and to Pen and Sword Books and PE2Collectables for generous donation of prizes. The charity dice-off raised £51 (+ gift aid) for Battlegames’ Combat Stress appeal. Dave Sculley’s Armenians in action. David Johnson with the wooden spoon prize – some salt to feed his troops and some wine to drown his sorrows. 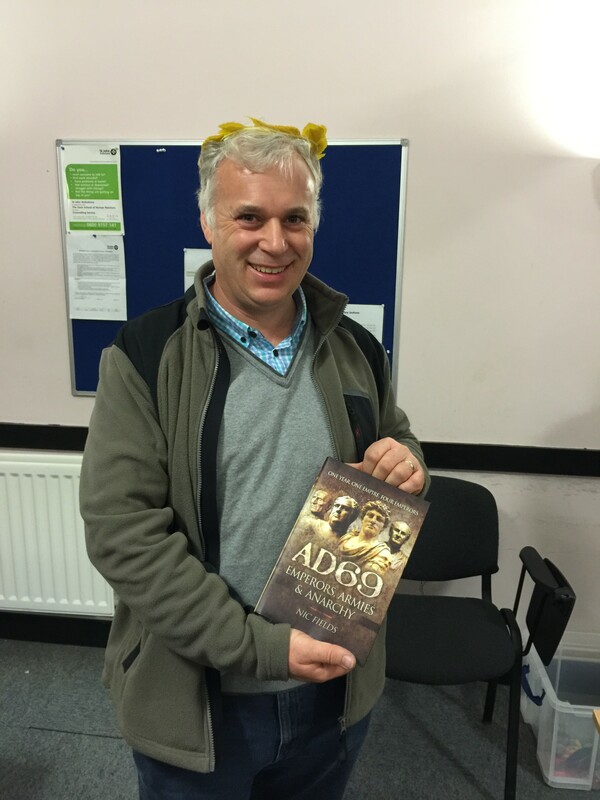 Andy Mellor with the prize for best general, generously donated by Pen and Sword.